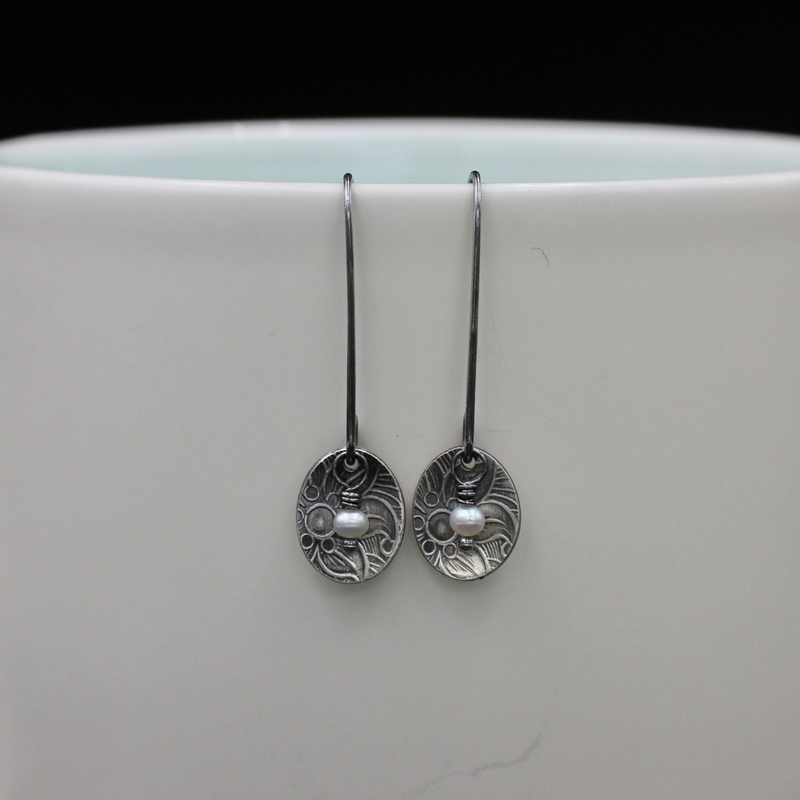 These delicate sterling silver and freshwater pearl floral dangle earrings were created by pressing a beautiful floral pattern into a sterling silver elongated disc. 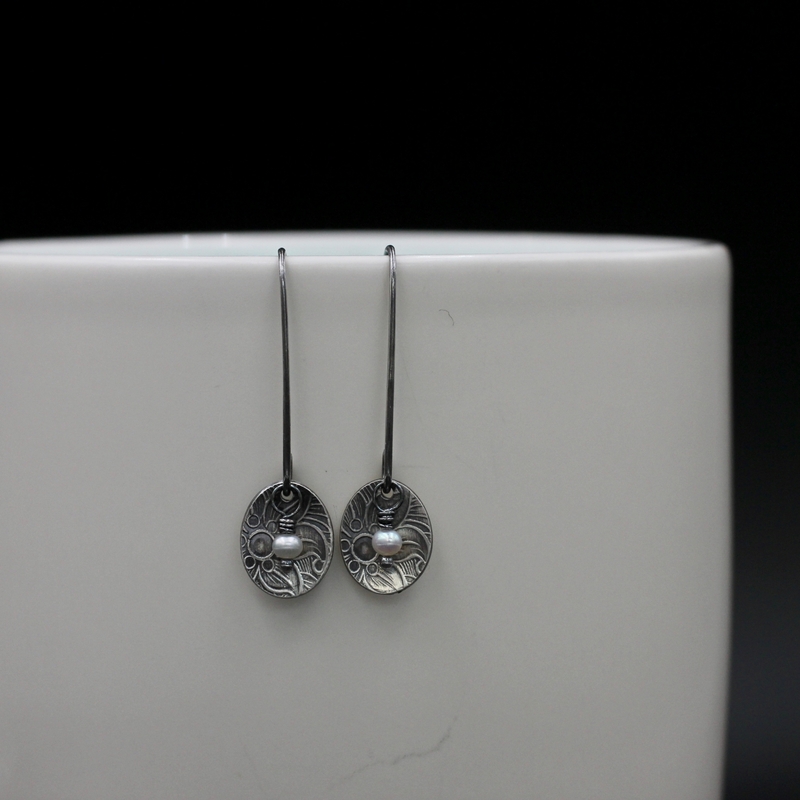 The disc is slightly domed and a dainty freshwater pearl hangs in front. 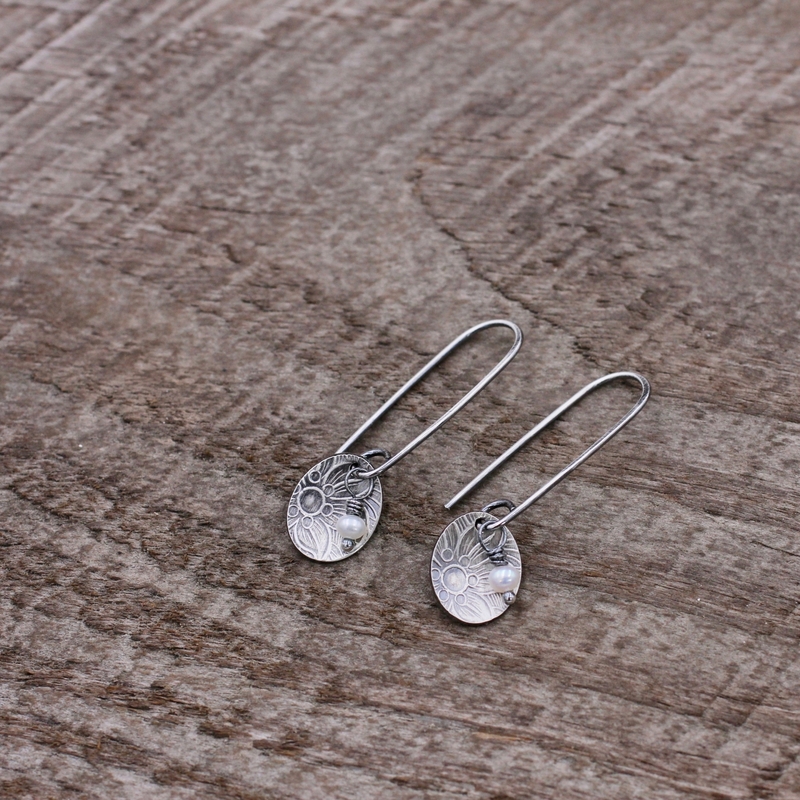 The disc hangs from hand formed ear wires. 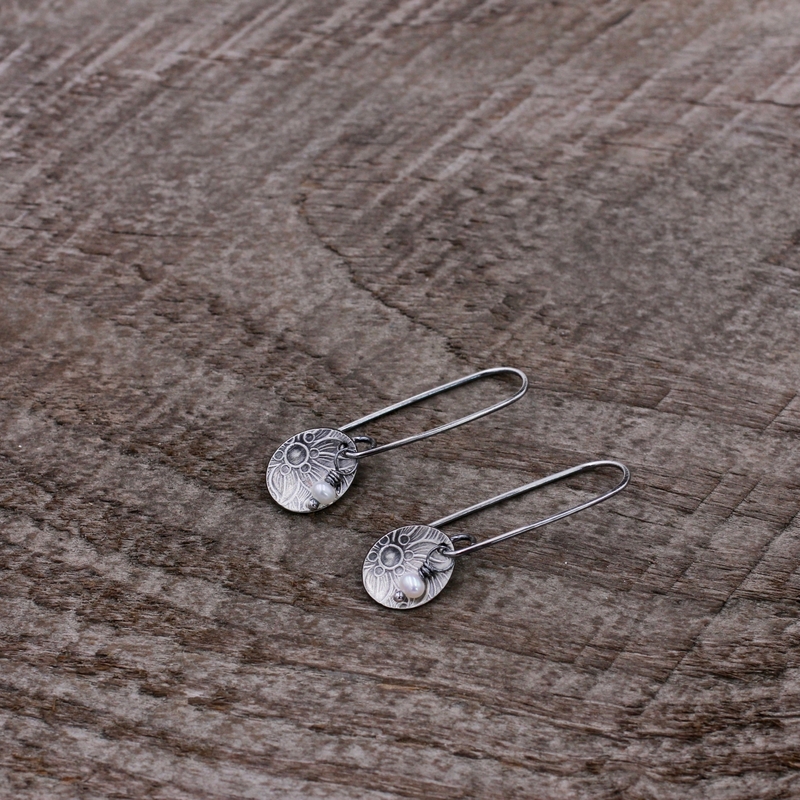 All metals are sterling silver which has been oxidized and polished. 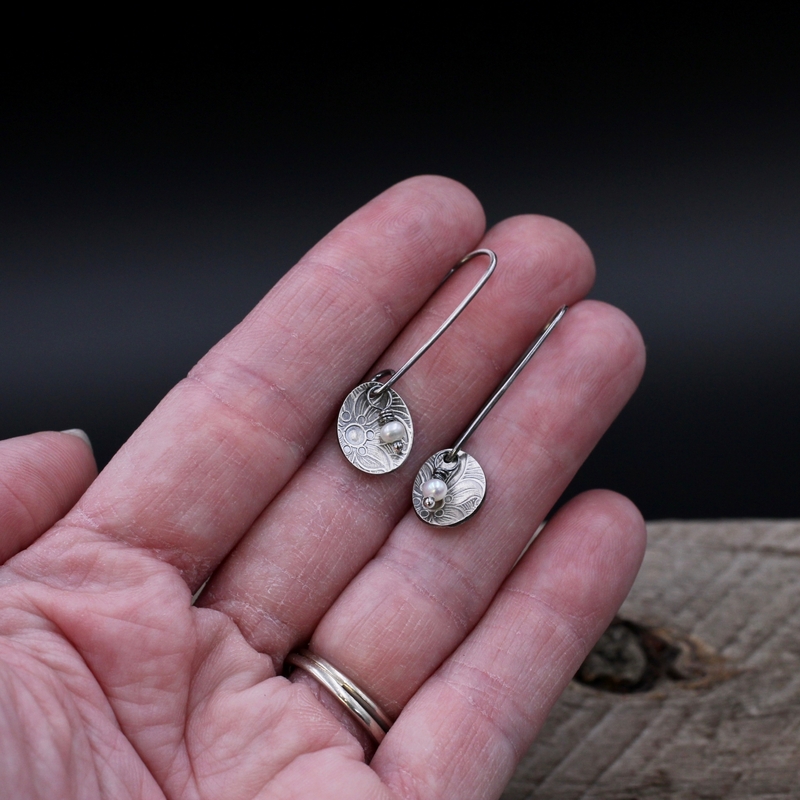 The earrings hang 1 3/8 inch (3.5 cm) from the tops of the ear wires.